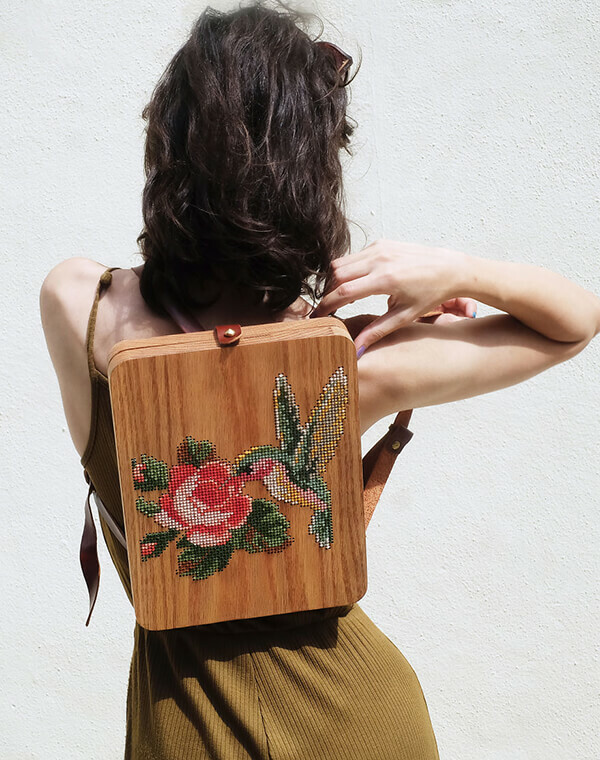 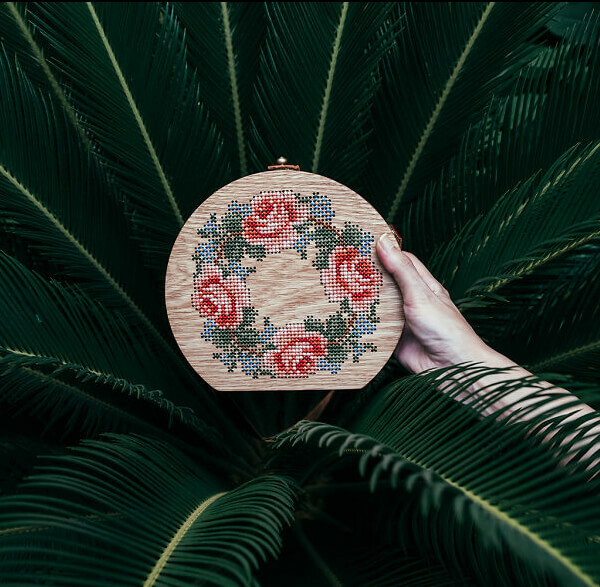 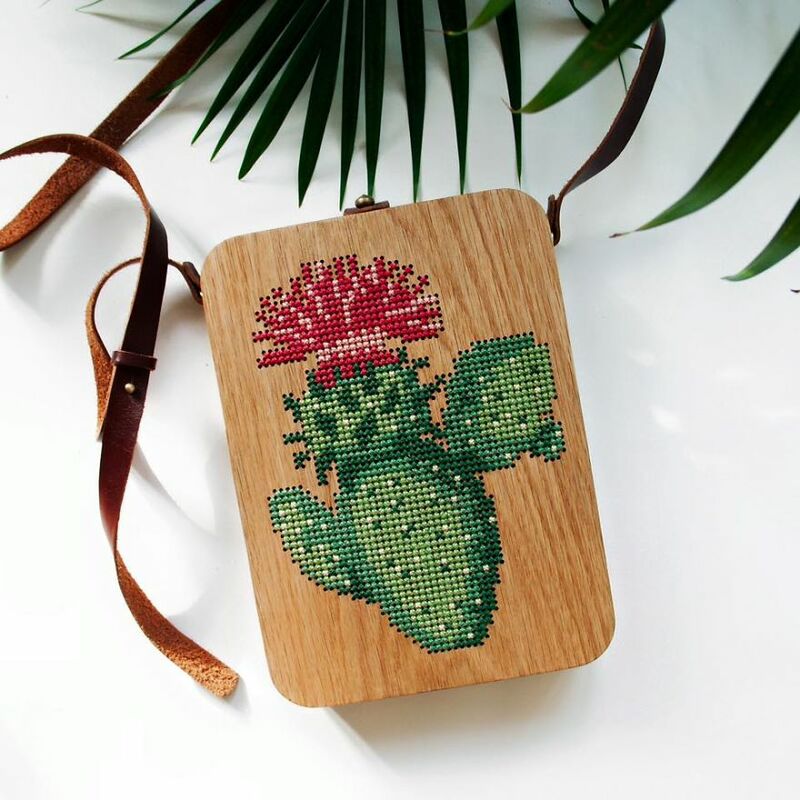 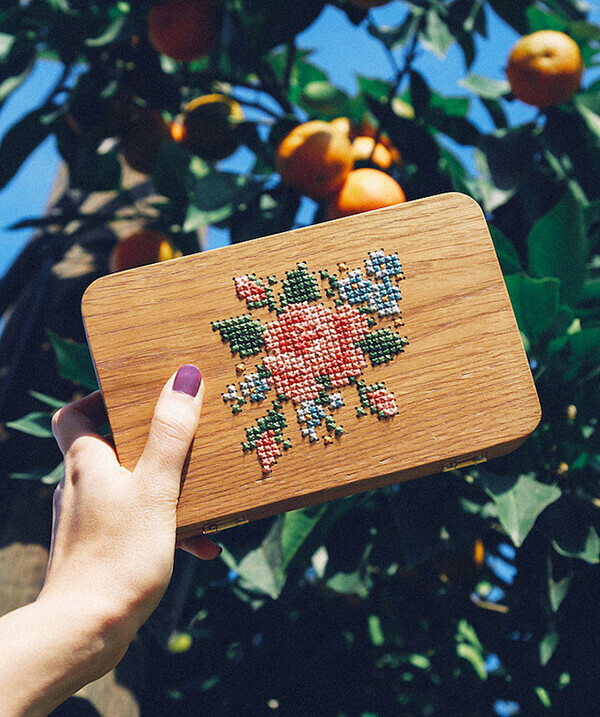 Stitch and wood might never be connected with each other in someone’s mind, but designers from GRAV GRAV, an Istanbul-based woodworking studio cross-stitch nature patterns on wood such as walnut, oak and beech and make uniquely spirited wooden bags. 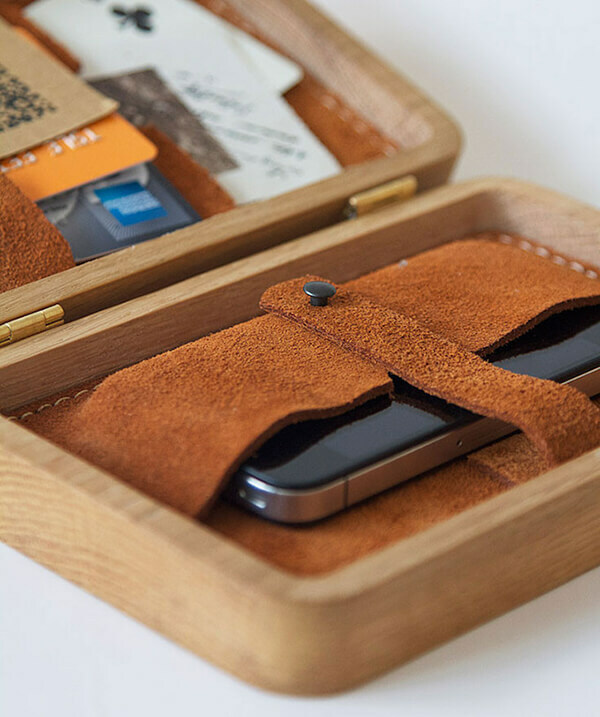 The wooden bags come in two styles – clutches and purses—and are lined with hand-sewn suede. 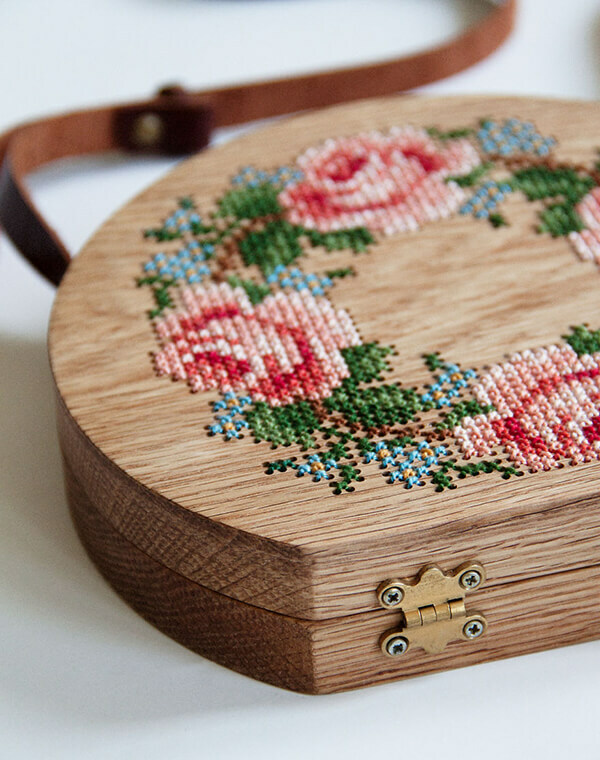 Plants, fruits, animals and all creatures from nature can be the pattern for cross-stitch. 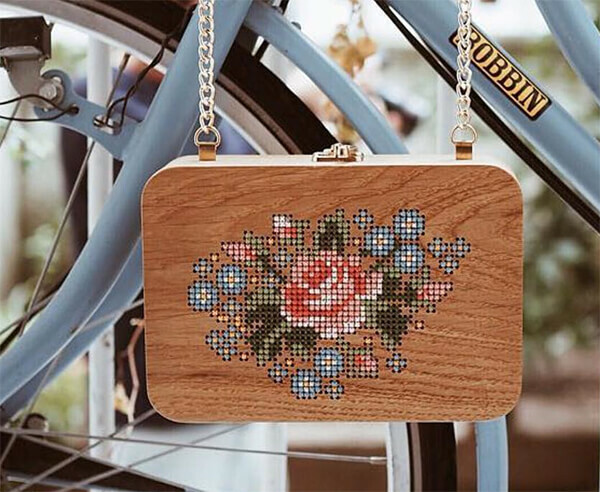 And the unusual combination of the smooth wood and chunky thread just give those handcraft bags a complete unique feeling – a harmonious combination of tradition and modern.